Here is a quick Windows 8 tutorial about how to block websites in Windows 8 hosts file. First of all, let me explain a bit about ‘Hosts file’ which is quite simple to understand. Just like when you direct to a website, your Domain Name Server contacts a specific website with its IP address i.e. the numeral address of the selected website. For example: when you visit Google, it maps 74.125.224.72 and your local system connects to the IP numeral of that website. So, you can simply use your system’s hosts file to direct any specific page to your computer’s IP Address. 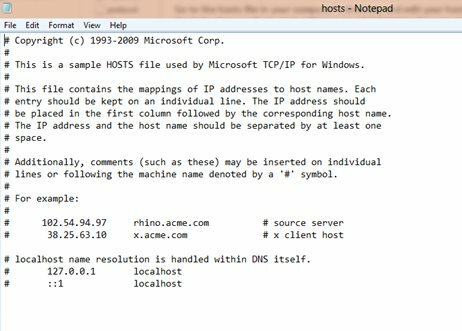 Host file is a local file to your computer system and you can configure this hosts file so that you can direct any website to your local computer and can block any site by using its numeral IP address. 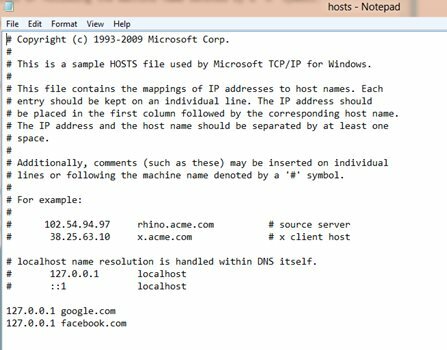 You can use this hosts file to block specific websites by simply configuring your hosts file. For example: if someone wants to open Google.com at your computer’s IP address then it will get connected to your local system. You cannot view the webpage that you want to visit because it will redirect you to your own IP address and the site will get blocked. 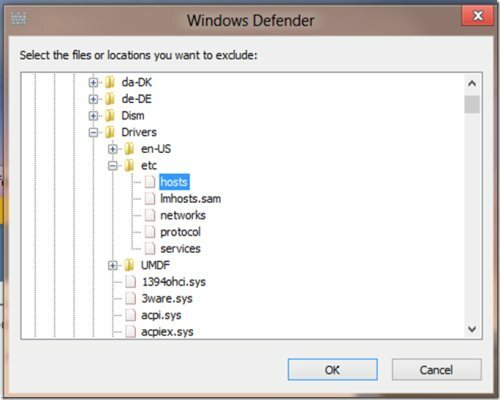 First of all, you have to block the hosts file from being monitored in Windows Defender. 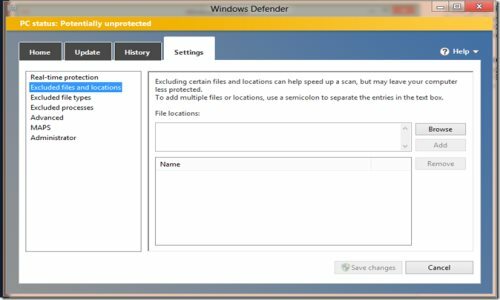 So, just go to Windows Defender by pressing the ‘win+w’ button in combination and type ‘Windows Defender’. Enter the directory address in to the File Location or just browse through your computer and get the hosts file. Just enter the file location and save the changes done to the Windows Defender to block the hosts file. Now, you can edit the hosts file in your text editor like notepad or word pad or you can also use notepad++ for editing your hosts file. 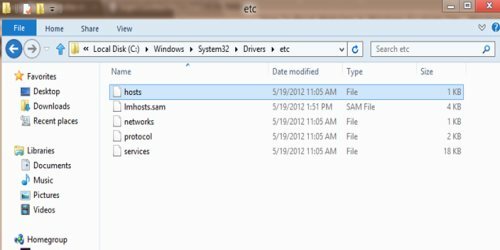 Go to the hosts file in your computer’s directory and edit hosts file with the help of any ordinary text editor as an administrator. You can only edit the hosts file if you will work as an administrator or you can open it with the administrator privileges. There is a hosts file that you need to edit. So, just right-click on the hosts file and open it with notepad. Add the name of the website you want to block. For instance, in case you want to block the very popular Facebook.com and Google.com, then just enter the name and save the hosts file. The changes will immediately be saved by your hosts file. You don’t need to restart your system. Next time when you open those pages you will find them blocked with the help of hosts file will not be shown on your browser. Go ahead and follow the steps to block websites in Windows 8. Easy to configure, even easier to bypass. Parental control can be effective only when we use a complete parental control app that is designed and created for that purpose. And there are several out there, Qustodio being my favorite. Free, feature rich and easy to configure and use. you need to save it right? I wount let me save it sais I need permission by the administrater… but I am the administrater any advice?? ?